Henry Holt and Co. (BYR), 9780805005714, 32pp. Bill Martin, Jr. (1916-2004) was an elementary-school principal, teacher, writer, and poet. His more than 300 books, among them the bestselling classics "Brown Bear, Brown Bear, What Do You See? ; Polar Bear, Polar Bear, What Do You Hear? ; Panda Bear, Panda Bear, What Do You See? ;" and "Chicka Chicka Boom Boom," are a testament to his ability to speak directly to children. Martin held a doctoral degree in early childhood education. Born in Kansas, he worked as an elementary-school principal in Chicago before moving to New York City, where he worked in publishing developing innovative reading programs for schools. After several years, he devoted himself full-time to writing his children's books. He lived in New York until 1993, when he moved to Texas. He lived in the east Texas woods, near the town of Commerce, until he passed away in 2004. John Archambault is a poet, journalist, and storyteller who has collaborated with Bill Martin Jr. and Ted Rand on several books, including "Barn Dance!" and "The Ghost-Eye Tree." Ted Rand (1915-2005) was a prolific artist whose illustrations appeared in several magazines and newspapers, as well as in numerous books for children. 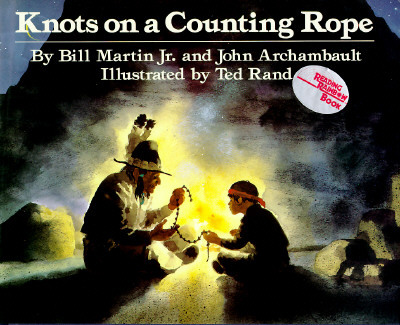 He collaborated with both Bill Martin, Jr. and John Archambault on many books, including "Here Are My Hands."